In part one of my 2014 Year-end Update, I recapped the action items I laid out at the beginning of my hair journey to achieve healthy hair by year end. I also shared a video showing how far I've come. Action items weren't the only things that I used. I had used the tools of the trade - a regimen and hair products. 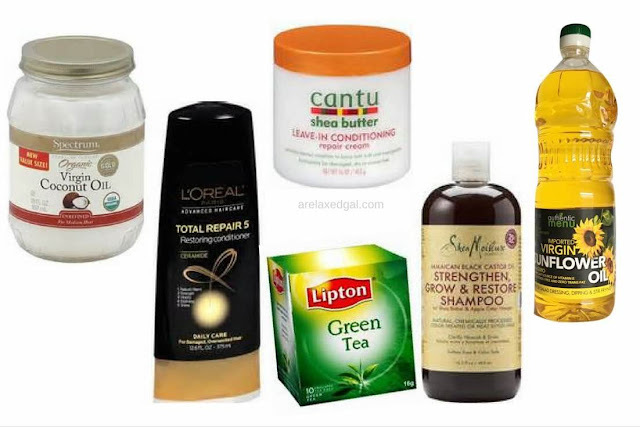 During this past year, I developed a hair regimen that works for my relaxed hair and can be easily tweaked when needed. I found that when creating a regimen it's partly trial and error, partly listening and learning your hair. I tried some products and steps that other bloggers were doing. Some of them worked for others didn't.